John VanderSyde: A native of Virginia’s Commonwealth, John graduated from Virginia Episcopal (High) School and attended Randolph-Macon College where he received a BA in English and Minored in Studio Art. John’s post-graduate studies took him to The Catholic University of America where he received his Masters of Architecture. A licensed Architect (RA) as well as a REALTOR® & Associate Broker, John began his career in 1986 managing residential construction and development. Specializing in high-end custom residential homes and renovation, John has an extensive knowledge of the housing industry. Years of construction management and contract negotiation provide additional skills necessary to work in his client’s best interest. John truly brings unique skills to the real estate industry, performing at the highest level of real estate sales. Ann VanderSyde: Ann was born in Japan the daughter of an Air Force family. She settled in Virginia’s Commonwealth as a child, living in the Northern-Virginia area. She graduated from Bishop O’Connell High School and attended Georgetown University where he received a BS in Psychology. Ann’s post-graduate studies took her to George Washington University where he earned her MA. A Licensed Therapist, Ann worked as a lead therapist for the DC Commission of Mental Health Services for five years. She relocated to Richmond, Virginia in 1993 where she immediately established a successful small business with an extensive focus in design and interior consultation that lasted for almost fourteen years. Ann’s experience provides additional skills needed to perform at the highest level of real estate sales. Ann & John live in Richmond, Virginia with their three children. 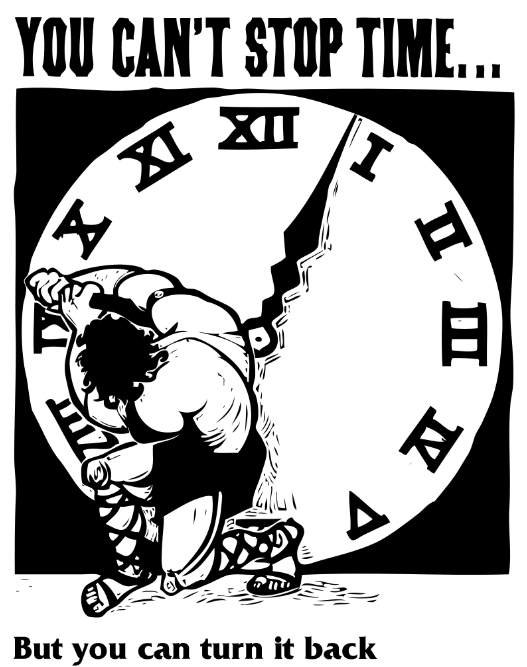 Sunday, November 4th at 2 AM is the official end to DST in our neck of the world. Daylight saving time (DST), also daylight savings time (United States), also summer time (United Kingdom and others), is the practice of advancing clocks during summer months so that evening daylight lasts longer, while sacrificing normal sunrise times. Typically, regions that use daylight saving time adjust clocks forward one hour close to the start of spring and adjust them backward in the autumn to standard time. In effect, DST causes a lost hour of sleep in the spring and an extra hour of sleep in the fall. Enjoy your extra hour of sleep this weekend – I hope it doesn’t mess with your internal clock the way that it does with mine! Happy Mother’s day! We hope you find comfort in knowing that “a mother is she who can take the place of all others, but whose place no one else can take.” Cardinal Mermillod. One of our good friends asked about the importance of how a property shows during a frenzied real estate market. 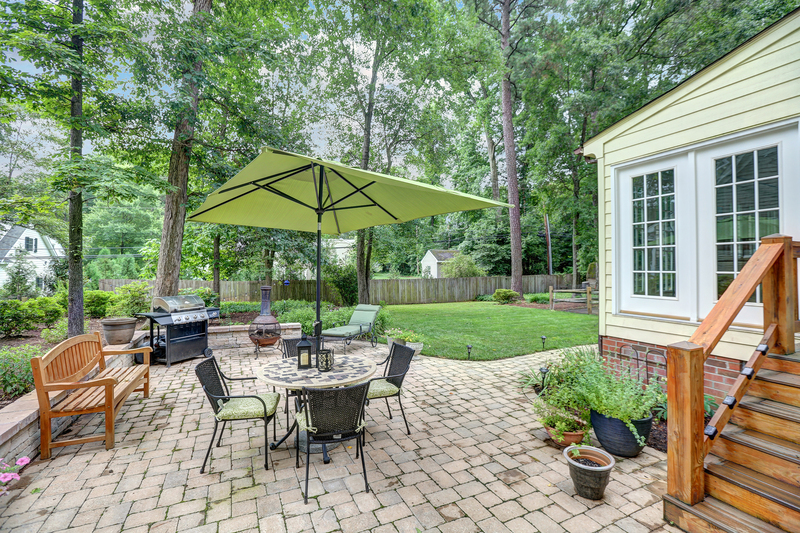 His point was that it is surely not as vital how a home is presented to buyers when in many cases the house sells as soon as, and sometimes before the sign goes in the yard. The idea that “staging” a home, or getting it “market-ready” is somehow less important to buyers because they are just going to snap it up without caring about what it looks like, so this should make no difference to the seller. In fact, the seller could save time and money just putting it out there as it is, letting the buyer be concerned about to overall condition once they own it. That would be a great idea, I said, if the seller doesn’t mind compromising on the sales price. In fact they are likely to leave money on the table if they don’t take the time to prepare their home for the sales process. We make all kinds of suggestions as Realtors® to our clients as to what they might consider doing to improve the presentation of their property to prospective buyers. It doesn’t matter if it is a good market or a stale one, the fact remains that if you prepare to sell your home by making improvements and staging, you are more likely to get a better price and sell it in a shorter period of time than if you don’t do it. It makes a significant difference in any type of market. Not to mention that once a buyer has won the bid to purchase their home, the reality of walking through and inspecting a property that hasn’t been maintained elicits a sense of buyer’s remorse. They may feel they overpaid for the house, and then the wheels start turning as to how they might recoup their money, or even get out of the contract. There are multiple scenarios to these questions that a qualified real estate professional is prepared to discuss with you. It’s always best to choose your most trusted real estate advisor to be on your team when buying or selling your next home. Here is the link for the article on the L&F Newsroom. Long & Foster Real Estate, the nation’s No. 1 independent residential real estate brand, has once again been honored by the Richmond Times-Dispatch as one of the 2018 Top Workplaces in the Richmond region. The company earned the No. 1 ranking overall for Ethics, as well as the No. 3 ranking among large companies on the newspaper’s Top Workplaces list. The Top Workplaces lists are based solely on the results of employee feedback gathered through a third-party survey, which is administered by research partner Energage, a leading provider of technology-based employee engagement tools. Several aspects of workplace culture are measured in the anonymous survey, including alignment, execution and connection. The survey was conducted from December 4 to December 18, 2017. The Times-Dispatch recognized 65 companies in four categories, ranging by the organization’s size. The Richmond region of Long & Foster earned honors in the Top Workplaces large companies category, which recognizes businesses with 400 to 999 employees, and it won top place for Ethics among all of the participating companies. The awards ceremony was held at the Altria Theatre in Richmond. Honored guests at the Long & Foster table included the company’s Richmond area employees who were nominated earlier this year for the organization’s own Foster Family Awards, which recognize employees for excellence in real estate. Those employees in attendance included Danielle Venturo, branch services coordinator in the Grove office, Lisha Doss, branch services coordinator in the Tuckahoe office, and Debbie Shobe, executive assistant in the Richmond regional office. “The Ethics award says it all. Our company is based on trust, family and excellence and we all pride ourselves in having strong values and ethics. To be recognized for this prestigious award is just awesome,” said Dawn Bradley. This is not the first time Long & Foster has been named one of Richmond’s top firms—the real estate brokerage was honored as a Top Workplace in 2015 and 2016. The company also has been recognized as one of the Top Workplaces in other areas in which it operates, including Delaware. RVA probably didn’t make the top 10 list because we have been in the midst of this market condition longer than the cities listed. These conditions can drive qualified buyers nuts! 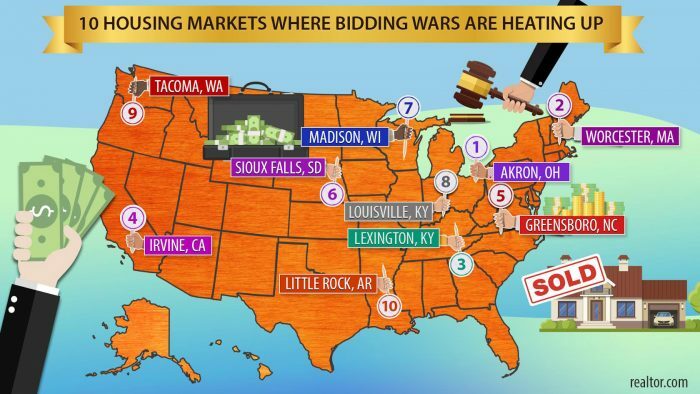 Rising interest rates, a demand for housing in challenged markets and a whole lot of buyers—that’s the recipe for a busy market being overtaken by bidding wars. But where are the largest battles being fought? According to a recent realtor.com® report, Akron, Ohio, and Worcester, Mass., are at the top of the list. The report determined which locations are experiencing the biggest increase in bidding wars by analyzing the percentage of homes that sold over listing price in the 150 largest cities in the U.S. from March 2015 to February 2018. 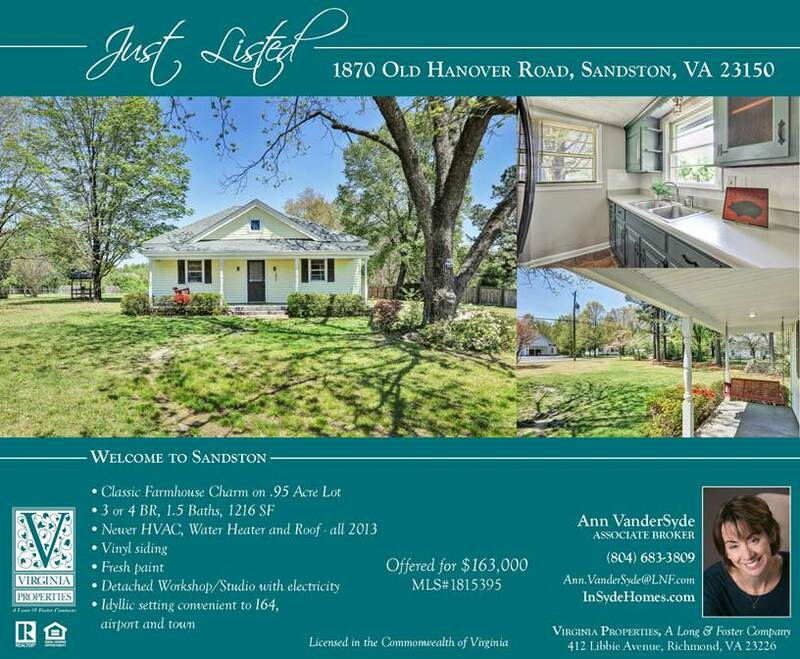 New listing – cottage bungalow in Sandston, not far from the airport. Good Morning and Happy Friday! It is hard to believe we are already in April. I hope everyone enjoyed last week’s edition of Friday Focus. Congratulations to Villanova and Jay Wright. If you watched the game, pre-game or post-game, the word “culture” was used often to describe the key to success of the Villanova basketball team. Great teams win championships, not necessarily the great players. Today, I want to share with you that this past Monday I participated in my first podcast with Dave Sanderson. Most of you have seen Dave speak, and I referred to his book, Moments Matter, in my Friday Focus email a few weeks ago. Dave was the last person off the plane that Capt. Sully miraculously landed safely in the Hudson. We all experience either personal and professional “breakthroughs” or defining moments. Dave also suggests that we all experience our personal and professional “plane crashes.” The breakthroughs and personal plane crashes ultimately define who we are, who we become and how we impact the lives of those we lead. In preparation for the hour-long podcast, Dave sent me a questionnaire that really triggered reflection. I thought I would share some of the questions with you to review and think about your answers. Was there a moment in your life that you didn’t pay attention that cost you something? As a leader in your profession, what single trait do you think helped you get to where you are today? Can you identify a “breakthrough” that helped define who you are today? Do you have any mentors in your life that impacted your life and leadership success today? What is one piece of advice you would give to a college senior that would benefit them the most as they enter the next chapter of their life? I hope these questions stimulate your thoughts and reflection. Thank you for all you do, and how well you do it. The first quarter of 2018 is in the record books. Have a great weekend, and make today count!